Born-Jordan quantization is used to obtain the time of arrival operator for the generalized potential. Specifically, the time kernel for the harmonic oscillator potential is calculated and the corresponding eigenfunction and eigenvalues are obtained. One of the eigenfunctions is made to evolve through time using the Schroedinger's equation. The time evolution of the wave function leads to its collapse on the arrival point at the time of arrival. This implies that Born - Jordan quantization gives a legitimate time of arrival operator for harmonic potential. J. J. Magadan and E. Galapon. 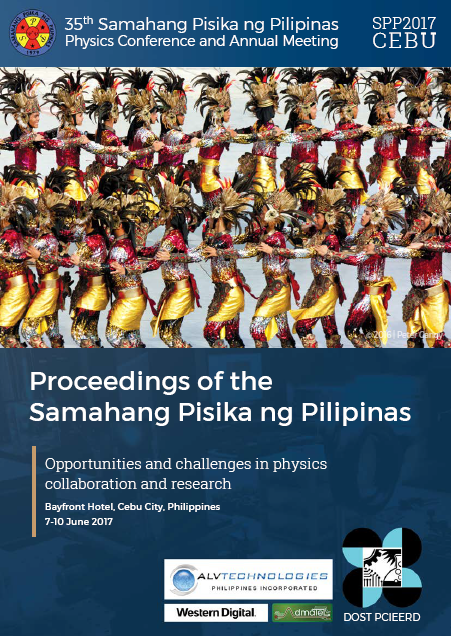 Born-Jordan quantization of classical time of arrival, Proceedings of the Samahang Pisika ng Pilipinas 35, SPP-2017-1F-02 (2017). URL: https://paperview.spp-online.org/proceedings/article/view/150.